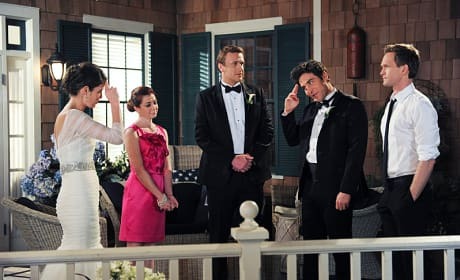 Ted reads to Tracy in this scene from the How I Met Your Mother finale. She would not survive. 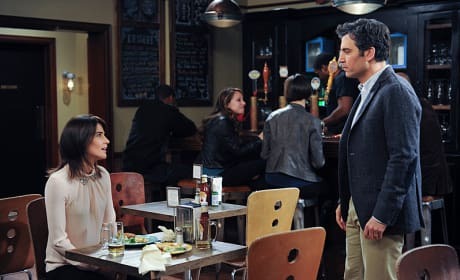 This callback to the How I Met Your Mother pilot was not how fans were hoping the finale would end. Yup, Ted and Robin. 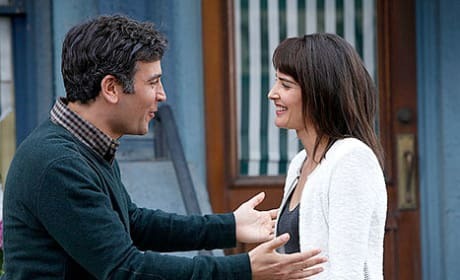 These two ended up together on How I Met Your Mother. 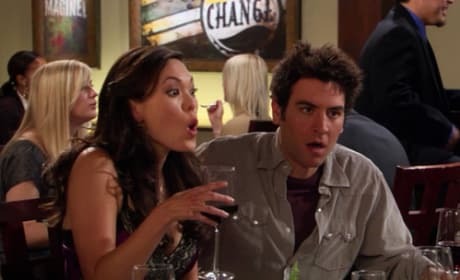 Ted meets Blah Blah (real name Carol, but Ted can't remember it) while playing World of Warcraft but she ordered him to tell his friends they met in a cooking class instead. It didn't take long for Ted to figure out she was on the wrong end of the Hot Crazy Scale. Eventually Lily hears Blah Blah ended up at the psych ward at Bellevue. Ted thought she was the perfect girl and was completely clueless as to why his friends hated her. But as soon as they told him, he couldn't drown out the sound. Cathy talked too much. He soon dumped her and when they met much later she's married to a man who's deaf. Victoria and Ted's history was tumultuous. 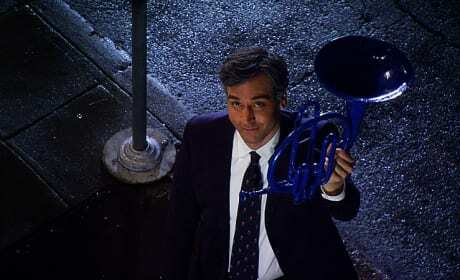 First he had to track down the mysterious Buttercup, then they broke up when Ted almost slept with Robin. Years later she was a runaway bride who asked Ted to deliver the Dear John letter but they called it quits for good when she told Ted he had to promise never to see Robin again. That's just wasn't going to happen. Finally, Ted has found the woman he's searched for all his life. It's cuddle time. It looks like Robin and Ted meet up years later. We wonder what this is all about. Even Barney looks as though he might cry as the gang says goodbye in "Last Forever Parts One and Two"
Saying goodbye to special friends won't be easy. 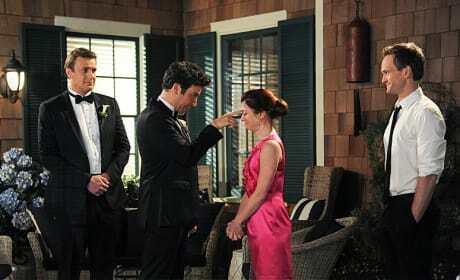 Watch the How I Met Your Mother series finale Monday, March 31st on CBS. 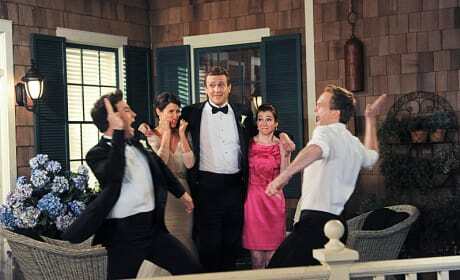 Ted and Barney share one seriously scary high five before it's all over on How I Met Your Mother. Robin and Ted do their thing one last time. Is Ted really headed off to Chicago?